Where Can You Find The Fake Food in the Window? Any restaurant in Tokyo might owe its existence, at least its accoutrements, to Kappabashi. Kappabashi is an area of Tokyo between Ueno and Asakusa that is dedicated completely to the restaurant business, comprising hundreds of stores selling everything from knives to pots to dishware and flatware, and everything in between. There are even stores that sell restaurant decorations, cold cases, and tables and chairs as well as signs. While the stores sell mostly to restaurants, they’re happy to have any regular person as a customer, too. 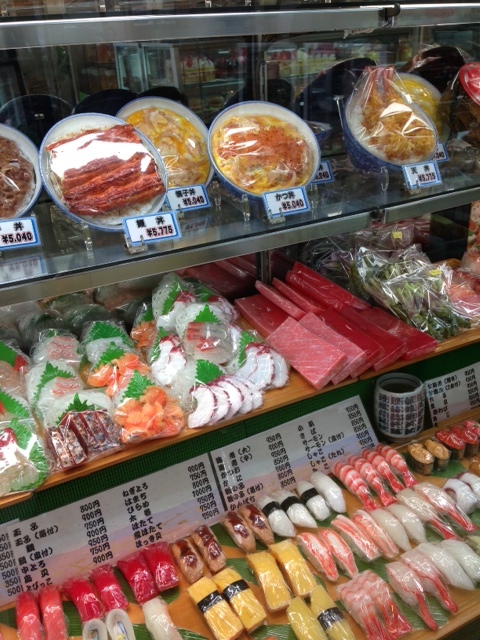 However, a big part of the charm of Kappabashi is finally solving the mystery of the plastic food that so many Japanese restaurants proudly display in their windows. 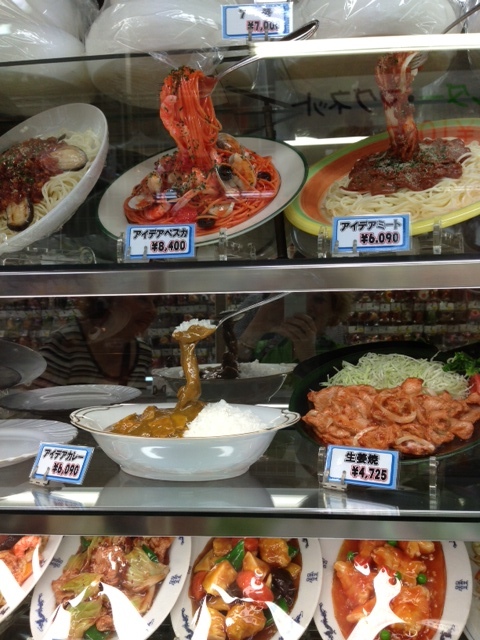 Kappabashi has shop after shop of fake food for sale – plastic versions of main dishes, side dishes and desserts, ranging from pasta, to soba, to meats to crepes. It’s a wonderland of plastic food! 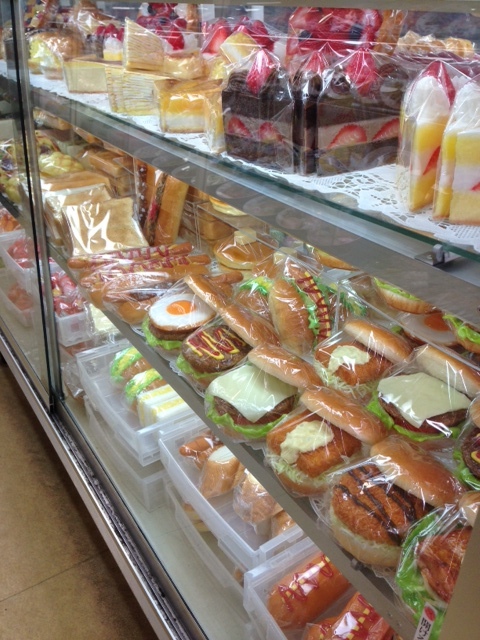 Those cases above are full of sandwiches – all fake. Restauranteurs can buy the entire sandwich or its component parts to show customers what is available at their establishment. This one above is one of my favorites – look at all of that marbleized and FAKE beef. I don’t like my beef like that in real life and I definitely don’t like it in plastic. However, if I owned a teppanyaki or shabu shabu restaurant in Japan, I would want to show my customers how wonderful my beef is – and this is how the Japanese love their beef. Also, check out that sushi. Every possible shape, fish and form is available in plastic, so the sushi shops can display the very best outside in their windows. 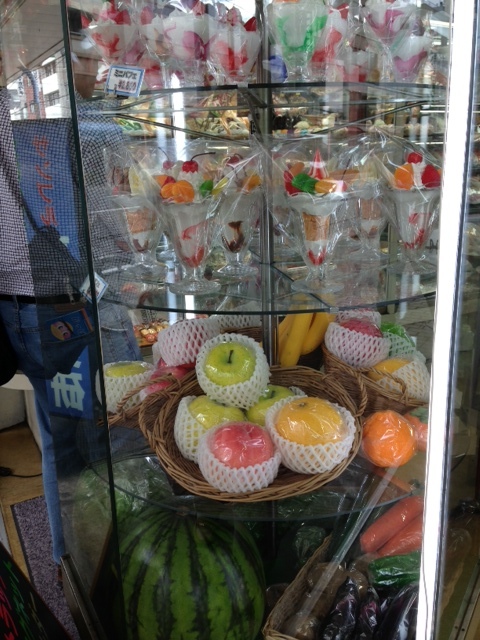 This one above is so interesting – fruits and desserts – all plastic. What I didn’t count on is the high price. One of those parfaits was 5,000 JPY – upwards of $50! The restaurant owners have to be careful and creative when choosing what t0 display. 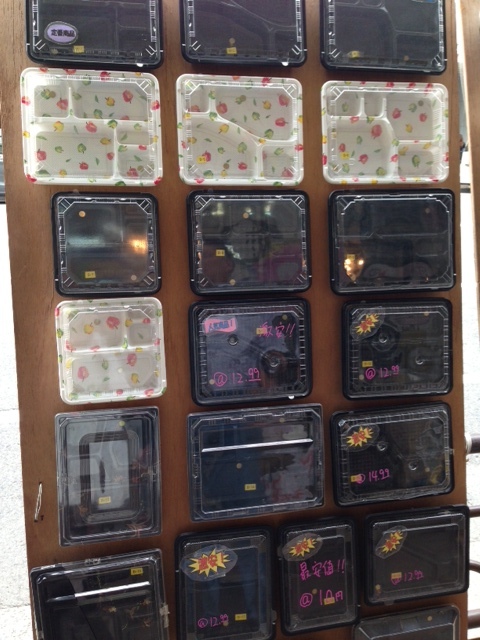 There are stores dedicated to throw-away packaging! This particular shop had everything – and I mean everything – one might need in a kitchen to cook with. 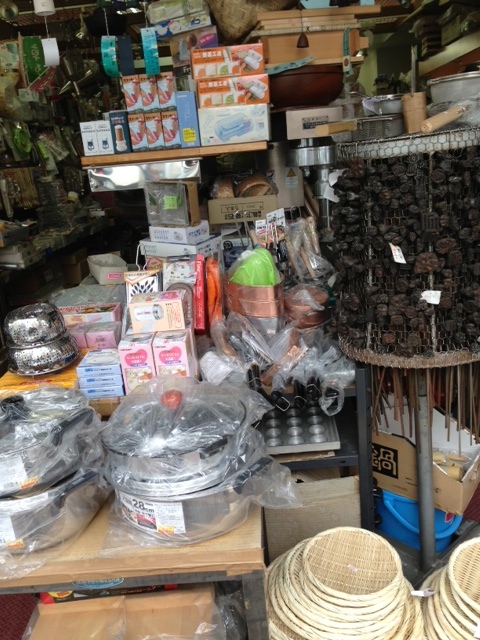 Stainless steel pots, copper pots, bamboo steamers, spatulas, and whisks, just to name a few items. 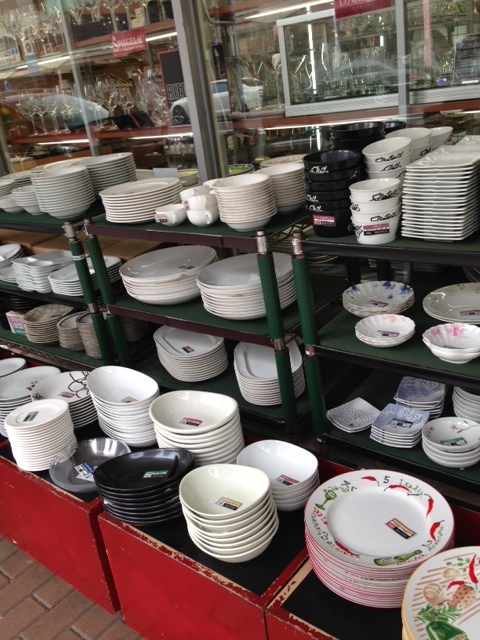 Shop after shop full of dishes for every type of restaurant or occasion. You have to imagine block after block of these stores. Some were fancy and some were casual. Some were expensive and some were less so. (Nothing is cheap in Tokyo) We walked down one side of the street and back up the other side. It was something else. If you have any cooking inclination at all, I’d highly recommend a trip to Kappabashi.